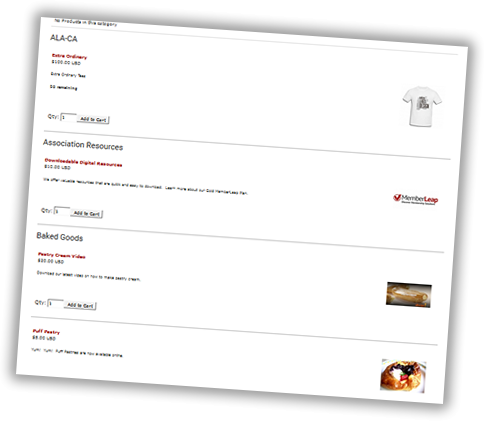 MemberLeap also includes an online store module. This includes a catalog, cart, and full checkout feature; designed to be integrated with online payment. Online Payment - If you have a credit card merchant account or PayPal account integrated with your MMS account, it will automatically will be configured with the store. Inventory/Availability - The store module also includes inventory tracking as well as an available/unavailable checkbox. Tax/Shipping - options for computing tax and shipping are available as well.